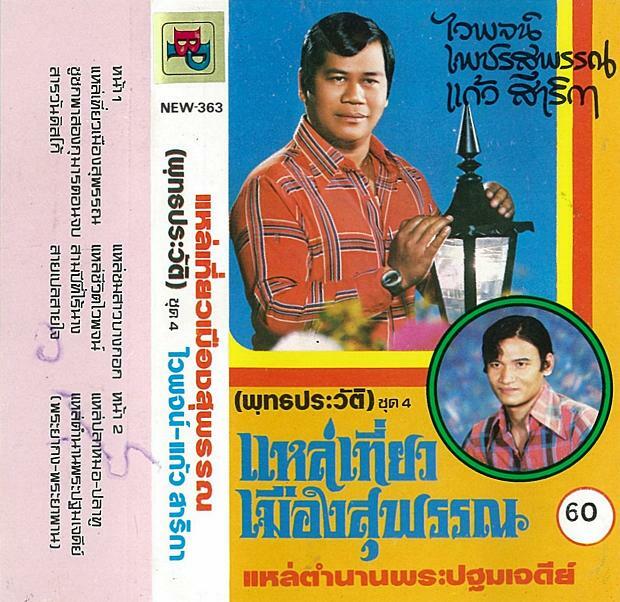 this week, music from the king of lae, waiphot phetsuphan! hailing from central thailand's suphan buri province, waiphot has for nearly half a century been among the biggest names in luk thung. born into a musical family, waiphot was trained from the age of 2 in a range of local styles. at 14 he joined a local liké theatre troupe, and at 16 won his first song contest. 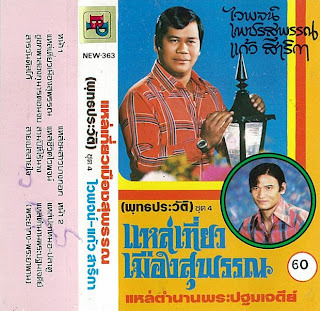 he was discovered shortly after by singer chaichana bunnachot, who introduced him to ruam daokrachai bandleader samniang muangthong. waiphot was greatly respected by audiences and fellow singers alike for his expertise in traditional forms and his uniquely powerful voice. this cassette, with side 2 featuring one of his prominent latter-day proteges, kaeo sarika, is a collection of lae focusing on his home province. the styles range from low-key ballads to up-tempo disco numbers, all imbued with lae rhythm & inflection. enjoy!! khon khun khop! this is great stuff. he really rocks. thanks for posting and all your hard work. sawaat di khop! Thank you for this fine mkusic. When in Thailand(Long time ago) i heard the story that this singer murdered a rival singer. Is this story familiar to you? that's an interesting rumor.. i don't doubt that, given his status, waiphot could get such a thing done if he wanted; it does seem to be at odds with his character as a religious singer, though. i will see if i can find any discussion of this online!